Wakeskate OG Clint Tompkins recently announced that the 2014 Signature line is shaping up and it's ready for your viewing. While there are still more changes to come (like the addition of board graphics instead of a logo deck, and new long boards), the actual board construction for Signature is looking solid (and it's environmentally friendly). Not to mention the boards are hand made by Clint in Texas. 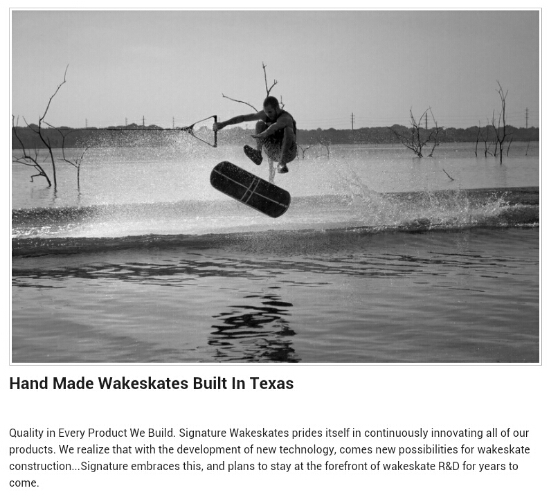 For more information about the product line, head over to SignatureWake.com.